For many people betting on eSports is nothing but a fun and exciting pastime, but for some punters it’s all about making money. 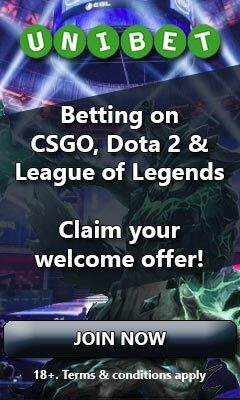 Unlike luck based casino games, those who are skilled enough will have no problem achieving a long term profit while enjoying the thrills of eSports betting. To help you understand this better and to take your betting to the next level, we have created the following guide that covers everything you need to know about the strategy of placing smart bets. What does it mean to be placing smart bets? It simply means placing bets that are guaranteed to give you a profit in the long run. Using this strategy you’ll sometimes find yourself betting on the underdog of a match and sometimes on the favorite of one. You’ll also find that some matches shouldn’t be bet on at all because there simply aren’t any bookmakers offering odds that are good enough for the bet to generate a long term profit. It’s all about the odds, you see. What is required to place smart bets? For the smart bet strategy to work your bets need to be based on good knowledge of the competing teams. This means that smart bets aren’t much of an option for the casual gambler who has little insight of the eSports scene and only enjoy betting as a way to up the excitement of the professional matches going down. Knowing the players, teams and doing necessary research is a crucial part of the strategy’s success. How do I place smart bets? Placing smart bets is all about making a prediction of a match and then comparing this prediction to the one that the bookies have made. As you may or may not know, the odds you see at eSport betting sites all reflect a prediction. If a team has been given a decimal odd of 1.25 this does for instance mean that the bookmakers have given this team an 80% chance to win. You can easily calculate this yourself by just dividing 100 with the decimal odd offered. So let’s say that a team has been given this exact odd of 1.25. For this bet to be a smart one to place, your prediction of the team has to be that they have an equal or greater chance of winning than 80%. Should you only give them a 75% win rate, you would be losing money in the long run by placing the bet as the odds you are given are lower than such a win rate. Once you have these odds, all you have to do is to compare them with the bookmakers. Anything that is higher will be a smart bet to place and anything lower should be avoided at all costs. If your prediction is correct (or at least more accurate than the bookmakers’), placing the smart bets will give you an expected value which is positive, making you a guaranteed profit in the long run. As you can imagine, it’s a good thing using several bookmakers to help you find the best odds, thus making it easier to find your smart bet opportunities. As is almost always the case, taking part of bonus offers is also a good thing as this will allow you to profit from your bets even if your predictions aren’t always on point. Is placing smart bets a bulletproof strategy? If you’re correct in your predictions it most definitely is. The question is if you really are? Making the right estimations isn’t easy and eSport betting sites are perfect examples of this as they constantly make mistakes. This is of course great as it’s their mistakes we’re able to profit from, but it also tells us how hard it can be to predict a match. Knowledge is the key and the more passionate you are about the eSport scene and the more time spent researching previous match results and learning about the teams, the more successful you will be.